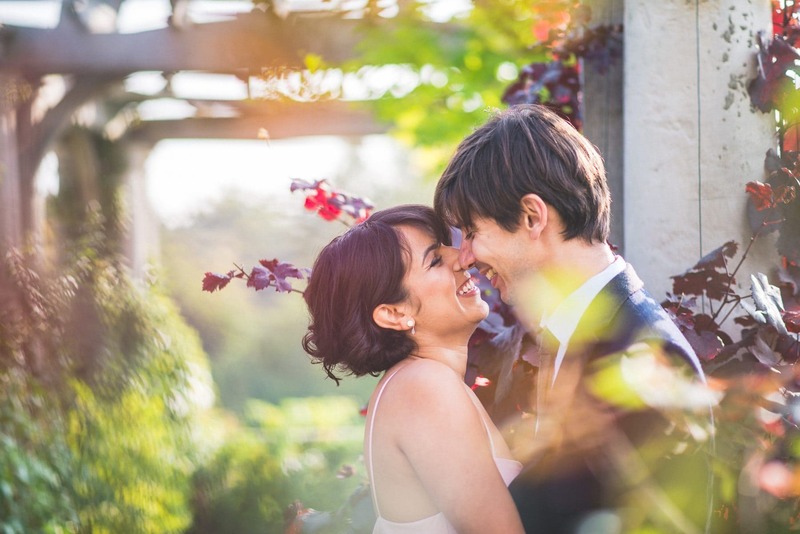 When Jasmin and Andy first got in touch about their Nonsuch Mansion Wedding in Surrey, I was so excited – they were planning a very stylish wedding with lots of personal out of the box touches, an intimate ceremony, a live Caribbean band and a cool movie theme to boot. We got on like a house on fire and I knew it was going to be great. 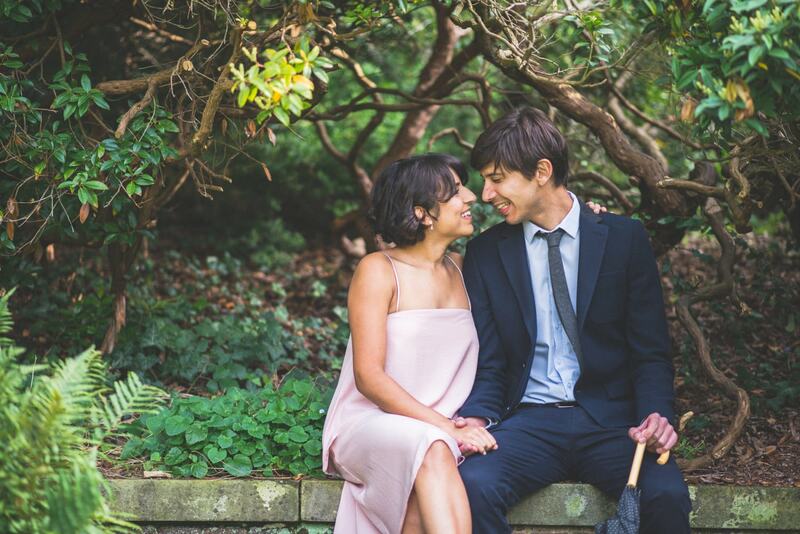 First, in order to get rid of their camera jitters we decided to meet in Hampstead Heath for their unposed and luxuriously intimate Hampstead Pergola Pre-Wedding Shoot. I love the Hampstead Pergola, with its columns and spacious walkways that have a faraway feel. It’s almost as if somebody secretly transported it to the Heath, and never told anybody about it. 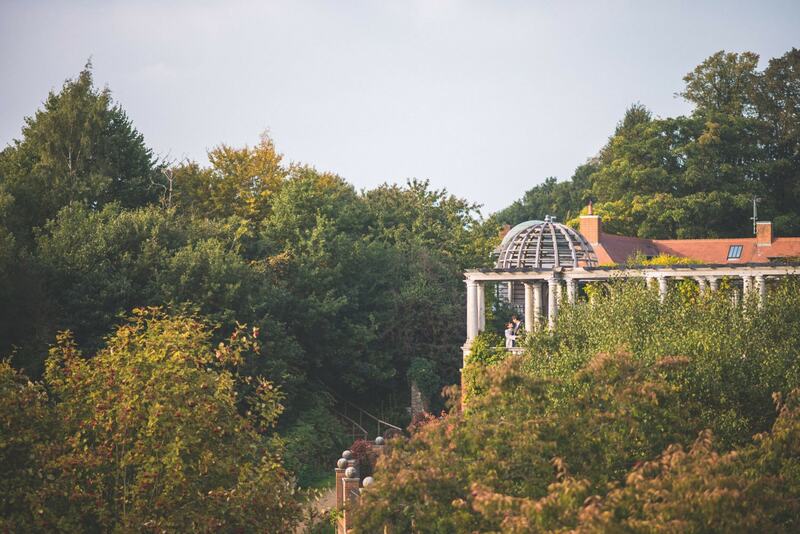 While Hampstead Heath is full of people on a summer day, enjoying the sun and having fun on the lawns, the Pergola sits quiet and enticing down a secret pathway. 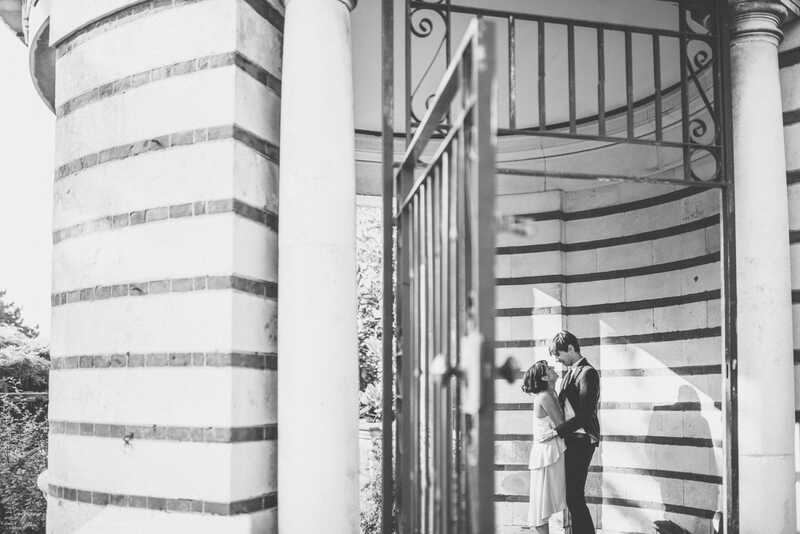 Whenever I’ve photographed at the Hampstead Pergola, for a wedding, engagement or beautiful maternity shoot, it has had a luxurious and intimate feel to it. 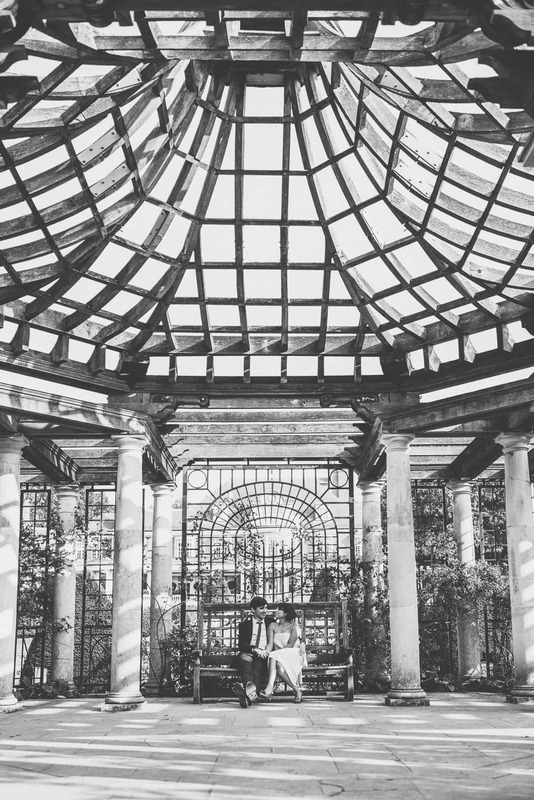 The Pergola is elegant in its design and architecture, and is full of rundown splendour. It is hidden away from direct view and there aren’t many people who know about it or come here. This makes it the perfect place to get photos that are really natural and unposed. The Hampstead Pergola lavishly spreads out over the Hill. The views pull you in and make you marvel at Hampstead Heath. It has lots of hidden nooks and crannies that are cool even on a hot and sunny summer day. These are perfect to walk through, explore and play hide-and-seek in. You can’t help but be pulled in by the magic and striking beauty of these surroundings. 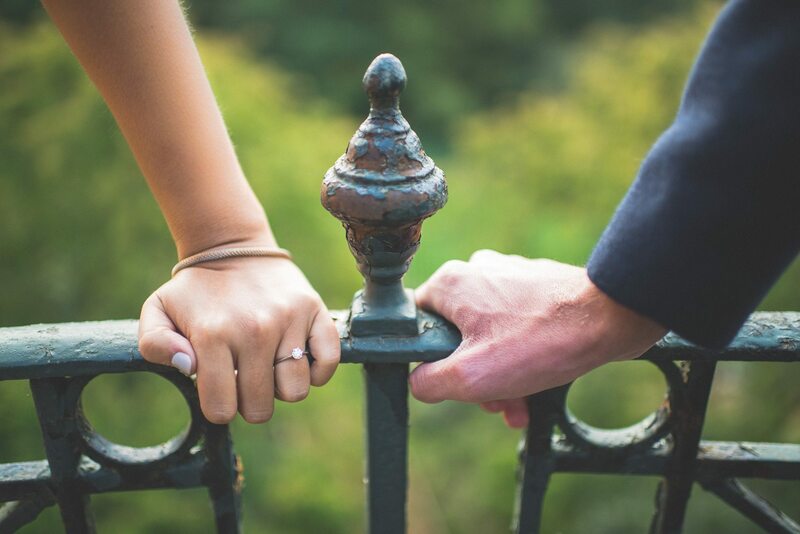 Even if you’re feeling shy in front of the camera, it won’t take you long to relax (Check my engagement tips on what to wear and how to relax quicker). 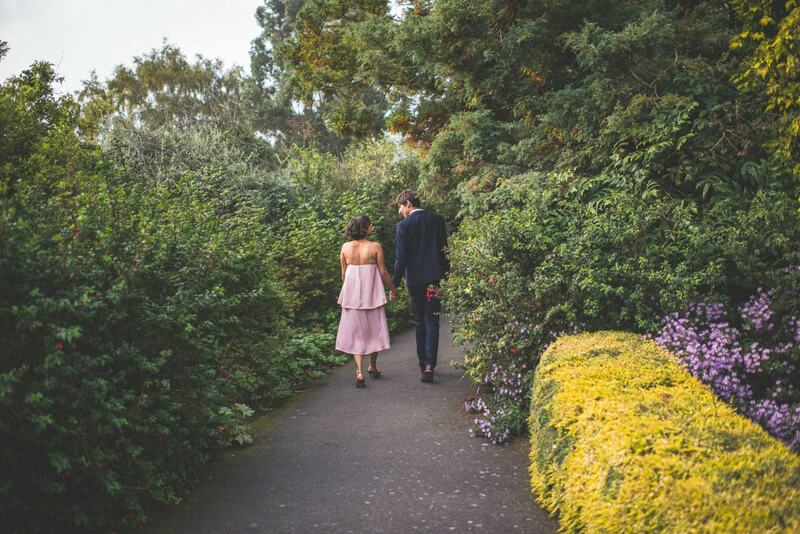 Everywhere you look, the luscious colours, full blooms and fragrant flowers pull you ever further into the Hampstead Pergola and you can’t help but follow the intricate pathways to see what’s around the corner. Follow this path and it will lead you to a spiral staircase and a cool wild flower garden. The next path will take you to an ivy covered parade of Grecian columns. And so it goes. It’s a secret adventure labyrinth that will take you a good while to explore. The Hampstead Pergola is such a wonderful place. I can’t wait to go back. 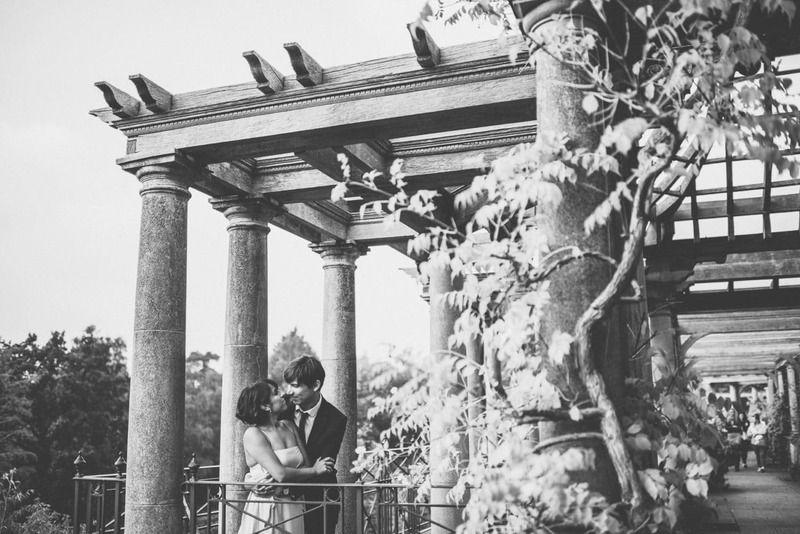 Get in touch if you’re thinking about getting married at the Hampstead Pergola. 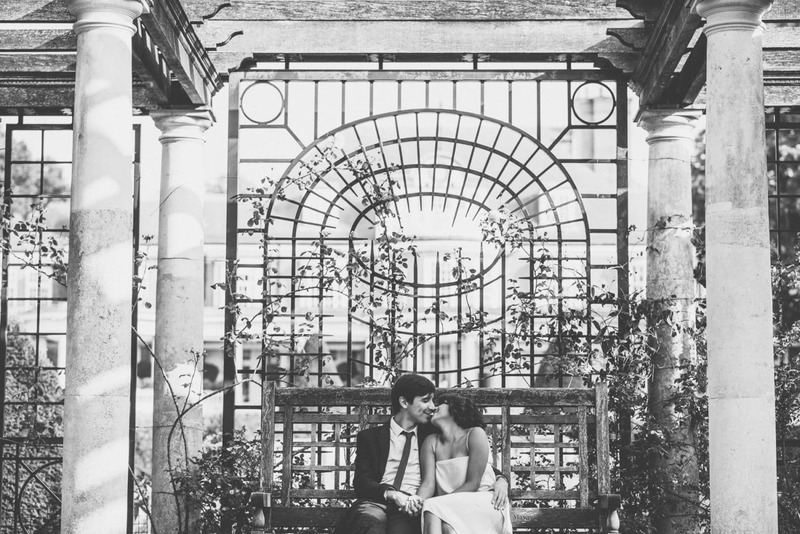 Or, if you want your very own luxuriously intimate Hampstead Pergola pre-wedding shoot, I’m also game. Let’s go and hang out and explore this amazing place, while we snap some super unposed, natural and relaxed photos of you having lots of fun together. Location: Inverforth Close, Hampstead, NW3 7EX. Closest stations are Hampstead and Golders Green. See it on Google Maps. Opening hours: The pergola opens at 8:30am, but closing times depend entirely on the season. 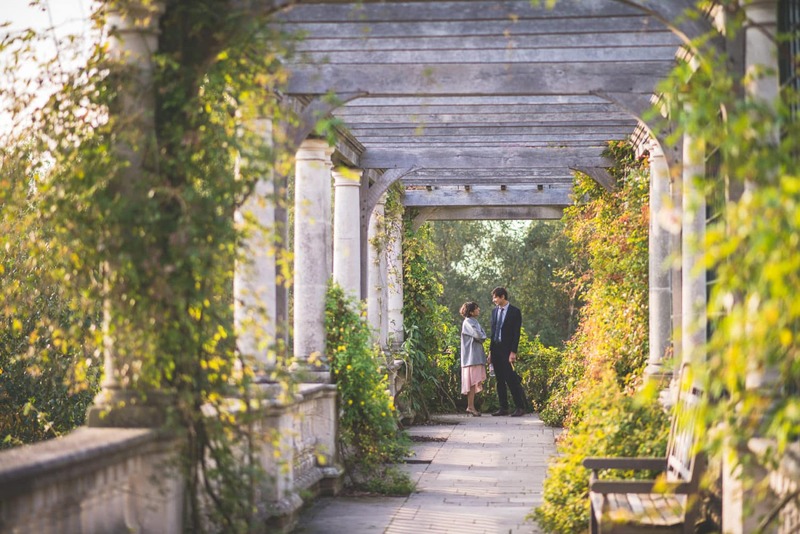 Entry: The Hampstead Pergola is free to enter and explore.